Ah, winter. It’s the season where things become cold. And, for some of us, winter means enduring the snow and ice by insulating ourselves with an endless supply of blankets and hot chocolate. For the rest of us, however, the winter season means fun, fun, and more fun. Whether you prefer throwing on a pair of skis and hitting the slopes, travelling to an outdoor rink to skate under the moon, or the quiet tranquility of ice fishing, winter offers bountiful opportunities to let go and relax. So, to psych ourselves up for the upcoming winter season, we’ve gathered some of our favourite NFB films that revolve around wintertime activities. We begin our wintertime odyssey with a beloved classic from the NFB archives. Gone Curling is a delightful and hilarious comedy about, fittingly enough, curling. We follow our protagonist as he is introduced to the sport of curling. At first, like many of us, he’s somewhat flabbergasted by it. He doesn’t understand why so many people are so excited about this game. That is, until he grabs a broom and tries it for himself—and is soon enthralled by the magic of the game! We continue our list with another popular classic, this time in the form of a short documentary. In King of Blades, the viewer is introduced to Canadian figure-skating legend and top-calibre athlete Don Jackson. Whether chronicling Don’s performance at the Prague Figure Skating World Championships or back home in Canada at the Ice Follies, this is an engaging doc for both fans and non-fans alike. 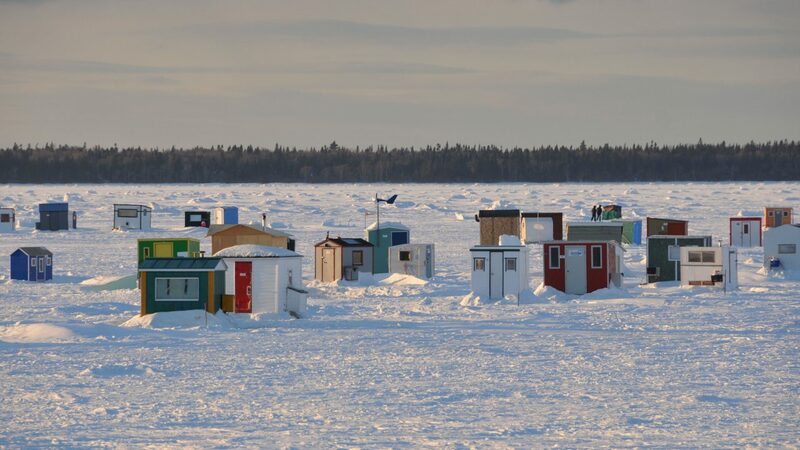 A documentary that focuses its narrative gaze more on the human element, On the Ice Floe takes us up north to a quaint community in Rimouski, Quebec. Here, gathered atop the ice and surrounded by snow, we witness a meeting between ice fishermen and artist Joseph Kieffer. A warm documentary that you’re sure to enjoy. Our winter list barrels on with this bite-sized mini-doc that’s part of our Canada Vignettes series. In this film, we follow Canadian skier extraordinaire Kathy Kreiner, and are given an inside look as she prepares for her once-in-a-lifetime opportunity to compete for the gold medal at the winter Olympics. What makes a film a classic? Is it the passage of time or does it require a seal of approval? Discover 5 films that we bet you didn't know were Canadian.